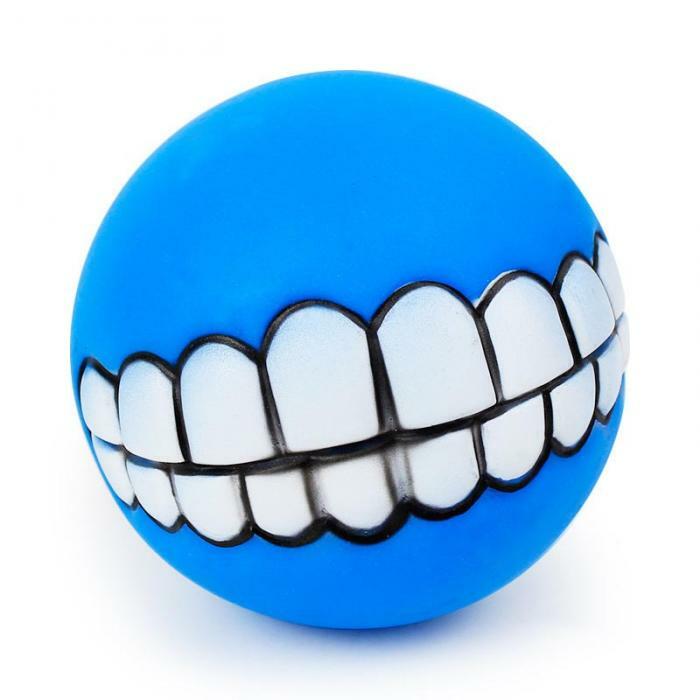 Dog Grins Dog Ball Toy is sure to have your pup grinning for ear to ear once he gets his paws on it! This toy is not only lightweight but also floats on water which makes it ideal for beach and outdoor play. Grins will also provide endless hours of interactive play for your furry friend as it has compartments to hide his favorite treats! Soft, durable material. 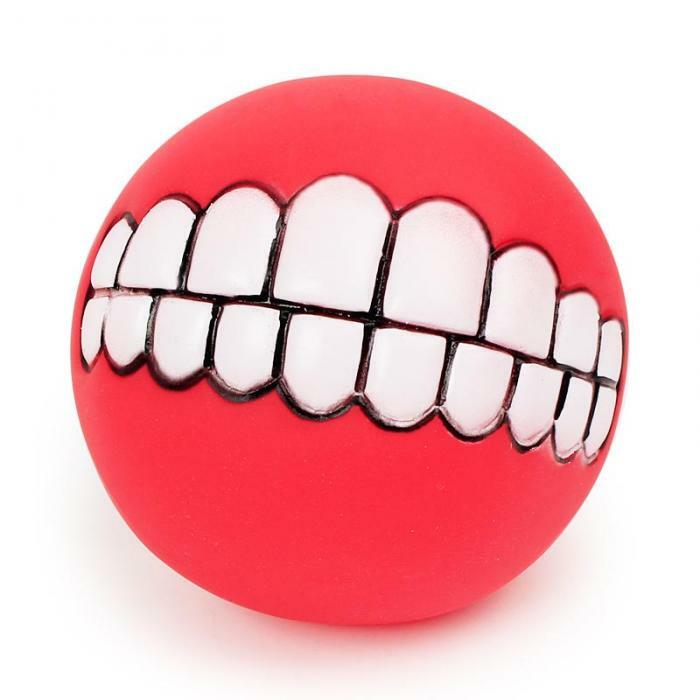 Soft enough to not hurt your dog’s teeth, but firm enough to bounce. Versatile. Floats in water making it ideal for outdoor play. 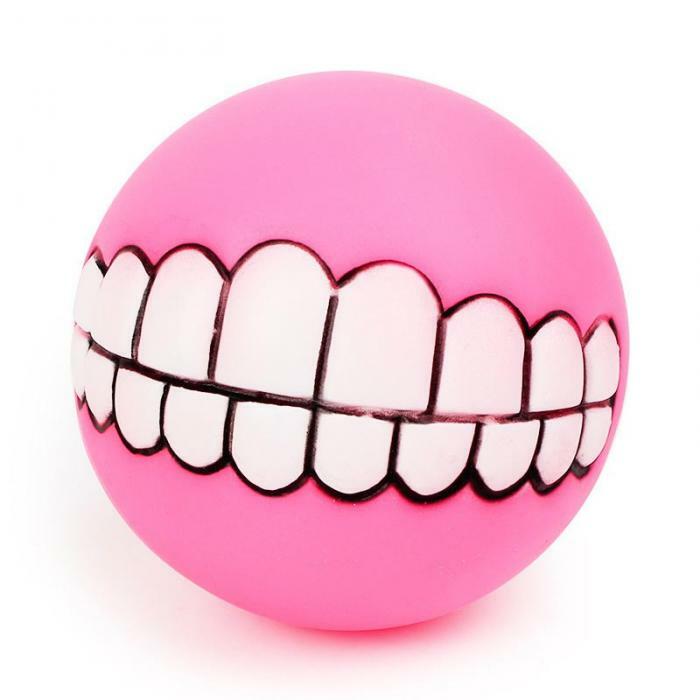 Comes in a variety of vibrant colors. We'll ship the color at random for a fun surprise!